Bank shares in Greece took a deep plunge last Wednesday diving by 8.78 per cent, amid investor fears over lenders’ needs and bad credit. Even though Greece exited capital controls the country’s banking sector lost 42 per cent of its value within just three months reflecting what analysts say is “Greece’s vulnerability to internal and external pressures”. The consensus during the the Athens Stock Exchange (ATHEX) for banking shares meeting, which included Finance Minister Euclid Tsakalotos, Minister of State Alekos Flambouraris and Deputy Prime Minister Yiannis Dragasakis, was that the pressures on bank stocks are not a reflection of their fundamental health and more a result of speculation. They insisted that banks are on firmer ground, citing the successful outcome of the stress tests in May, their high capital adequacy ratios, their success in surpassing targets to reduce nonperforming loans (NPLs) in the first half of 2018, an increase in bank deposits and the significant reduction of their dependence on emergency liquidity assistance (ELA). Speaking to Kathimerini, senior banking executives said the decline was unexpected and described the market’s reaction as “without logic”. 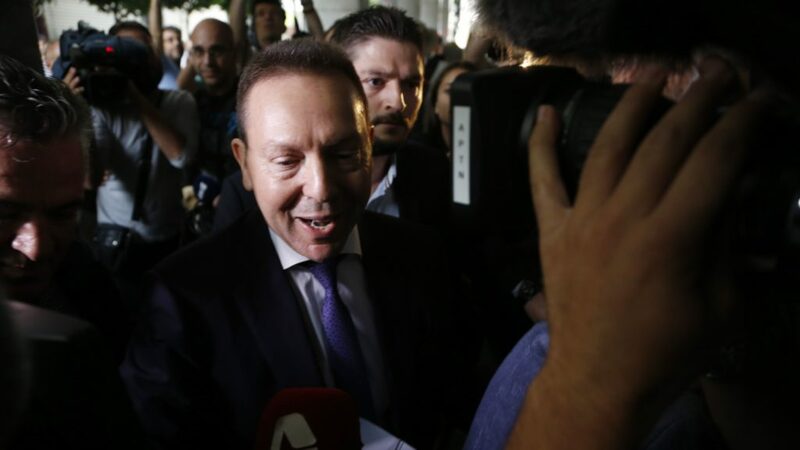 Meanwhile, former finance minister and Bank of Greece (BoG) Governor Yannis Stournaras avoided addressing last week’s ‘Black Wednesday’ at the stock exchange meeting until now, attracting much negative criticism. Assessing that the recent crash of the banking index he agreed that it occurred likely due to the global hike in interest rates, rather than Greek lenders’ financial predicament. He was indirectly referring to turbulence in international money markets from developments in Italy and especially interest rates affecting neighboring countries’ bond yields.